EIS an alternative for retirement planning. 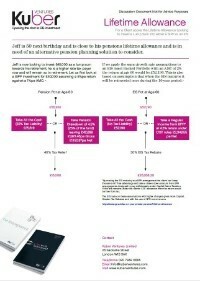 Pensions have always been the starting point for retirement planning and, whilst the impact of the ‘cap’ and ‘lifetime allowance’ is affecting more and more clients, it should still be the starting point. However for some clients the issue is that you just can’t put enough into a pension anymore. Pension freedoms, along with the restrictions on both lifetime allowances and contribution levels, are substantially reducing many of the key benefits that pensions previously came with. Many advisers are looking to other investment media to help with their clients’ retirement solutions. Enterprise Investment Schemes and Seed Enterprise Investment Schemes (EIS & SEIS) provide a great example of such alternative solutions, offering both up-front tax relief and tax free returns at maturity, together with inheritance tax efficiency.